We are determined to provide a classy range of Kids Chair. The raw material like natural & recycled wood and others used in the fabrication of these chairs. Available in a range of designs, colors and sizes to meet individual requirement of clients, our offered chairs are ideal for domestic and commercial sectors. Attractive designs, perfect finish, extended durability, long lasting shine are some of the quality attributes of our offered chairs. We provide these chairs to our valuable clients at industry leading prices. 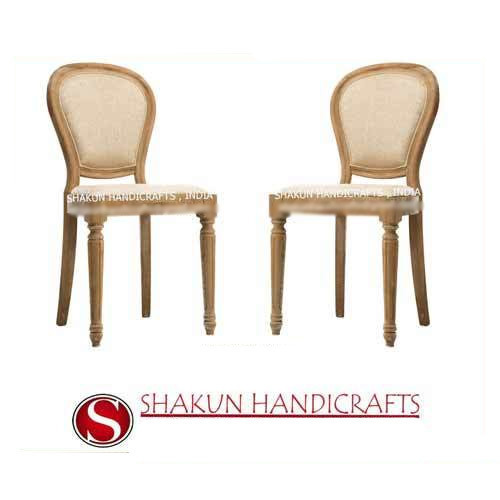 Established in the year 1997, at Jaipur (Rajasthan, India), we, “Shakun Handicrafts” are engaged in manufacturing, exporting and supplying a wide range of Wooden Furniture & Handicrafts. In our extensive range of products, we are offering to clients Wooden Almirah, Wooden Chairs, Console Tables, Side Tables, Wooden Sofa Sets, Decorative Wooden Balls, Wooden Paper Boxes, etc. The offered handicraft items and furniture are manufactured using premium quality wood and sophisticated technology. Apart from this, the offered range is designed with high precision in order to meet the set industry standards. The offered product range is heavily demanded among clients due to its features like sturdy construction, excellent finish, durability, termite proof nature and moisture resistance. With the help of our adroit craftsmen, we are offering these products in various attractive designs, patterns, colors, sizes and finishes as per the variegated demands of our valuable clients. We have mustered a huge client base across the markets of Indian Subcontinent, USA, UK, Italy, France, Germany & Canada.